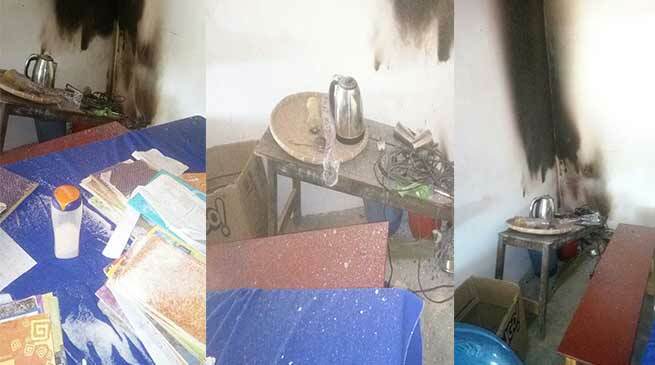 Arunachal: Miscreant tried to set ablaze Dobum Middle School Office. In a bizarre incident miscreants tried to set ablaze the Dobum Middle School located in Banderdewa Circle on midnight of Jan 8. Headmaster Nagung Tana Tara filed a FIR at Banderdewa Police Station against unknown miscreants stating that miscreants have set fire at office room of the Government Middle School, Dobum (Banderdewa) and had destroyed many articles like Broom, plates, Glass, Dustbin, Buckets, Table, Gas cylinder, Routine table, few text books and others. When contacted Banderdewa OC, PS, Kiksi Yangfo said that it would be a mischief done by unknown or may be an act of miscreants. A case have been registered Vide Case No-3/18 u/s-435 IPC and investigation is on to nab the culprit involved. I’m behalf of unprivileged common newly created district kamle of rising sun, where social and political distribution is imbalance. My real identity is “m a soldier ” I want to know something as I have zero knowledge about politics.